Kate Middleton could teach us a thing or two about grace and decorum, but tbh we're more interested in her shining some light on her style secrets. Whether she's sweating it out in India or showing off her repertoire of winter coats in chilly England, Kate can never set a foot wrong when it comes to fashion. Here's just a few pictures that prove the Duchess of Cambridge is the yummiest mummy around. Behind every great man is a great woman. 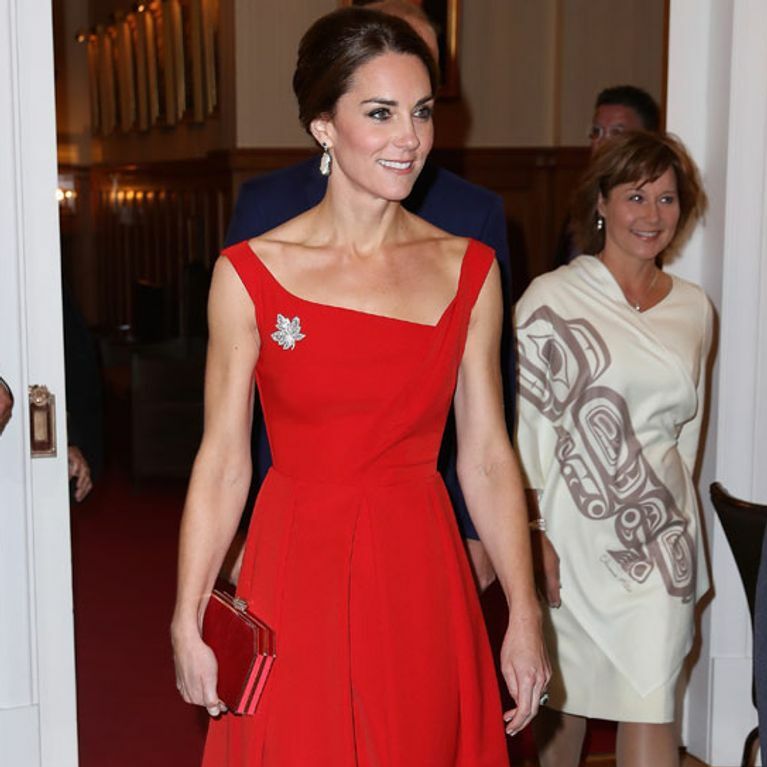 In Prince William's case, he has the ultimate woman of greatness behind him: Kate Middleton, and we need him to get out of the way so we can see what stunning dress she's wearing. Whether she's dressed to the nines her fave Jenny Packham or keeping it casual in Zara, K-Middy's outfits are always top of our fashion wish list. ​Y'know what really makes her our style queen? She's not afraid to wear something twice. You gotta admire a girl in the spotlight who would dine out twice on an outfit. And while we'll never get close enough to her wardrobe to rifle through it for fashion inspo, we can admire her style from afar. Check out our Kate Middleton favourites below! Kate and Meghan: who wore it better?